Our Seventh Day Baptist congregation in Washington D.C.’s pastor, Paul Andres is a son of Guyana and one of their strongest advocates for a financially independent and spiritually equipped Guyana conference. With wife, Diane, his Aunt Elnora, and their church, he has been working to help equip the leadership and enhance the vision of the SDB conference in Guyana. Paul and Diane have started the work, but time constraints in their last visit did not allow them to complete all the essential leadership they were hoping to accomplish. Though an established conference, there are now only a few pastors, with any kind of training, whether formal or informal in Guyana. The Andries believe if the leaders received training, they would then be much better equipped to minister to both their congregations and the community, as a whole. The leaders there are hungry for training. Pray for their preparation to do this work for the Lord. Pray the pastors and spouses be encouraged to attend training. 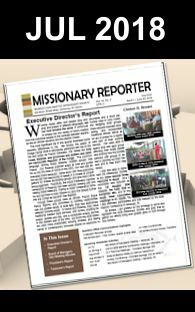 Contribute financially for the mission of this ministry. Thank God, for the success that would stem from this training.